Data growth is spiraling out of control—doubling every year in many industries—becoming a major challenge for many organizations. Traditional on-site data storage platforms are too costly to scale and maintain. And first-generation cloud storage services are too expensive and slow for many applications. 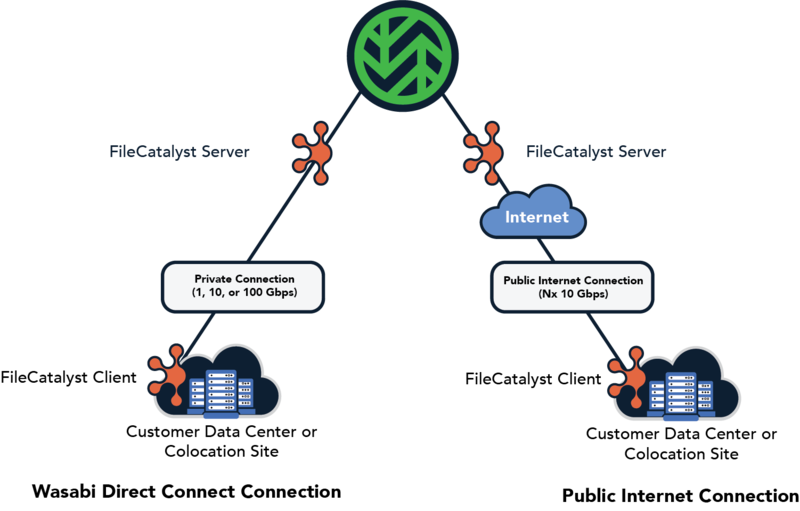 The Wasabi-FileCatalyst integration helps organizations overcome cloud storage cost and performance barriers, and tackle skyrocketing data growth. FileCatalyst is an accelerated file transfer platform that lets you move massive files in and out of Wasabi at fullline speed. The integrated solution delivers breakthrough cloud storage economics and performance for data-intensive applications. So you're looking for an ultra-low-cost storage solution for your video production needs. You just found it! © 2019 Wasabi Technologies Inc.